The Multi Cat has a proven design which has been thoroughly tested over the years by our loyal customers. The Multi Cat has an optimum deck space in relation to the deck equipment. 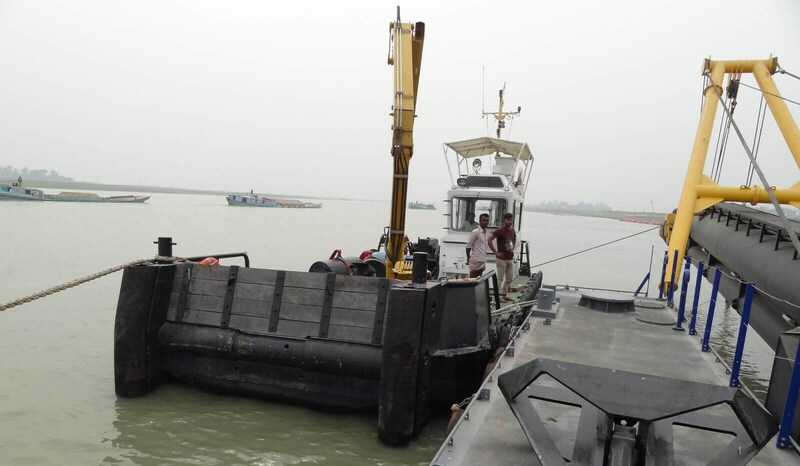 This means a maximum efficient operation with minimal crew. The wheelhouse has also a 360 degree visibility which increases the safety at the deck. 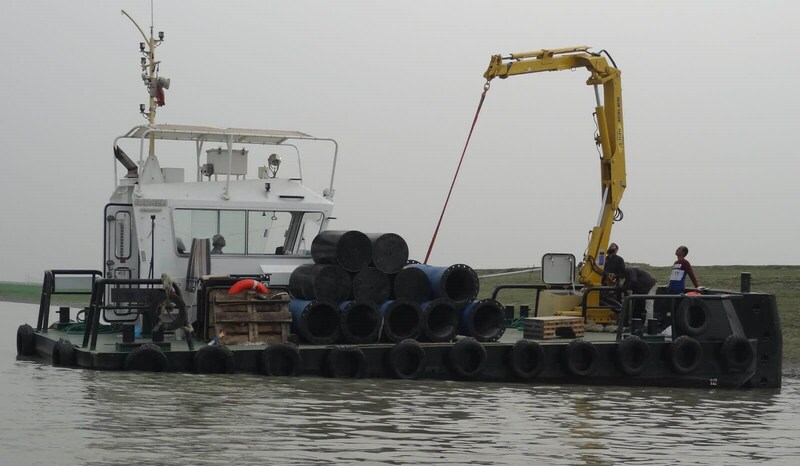 The ample deck space of the Multi Cat 1205 is used for storage of the floating pipe line. 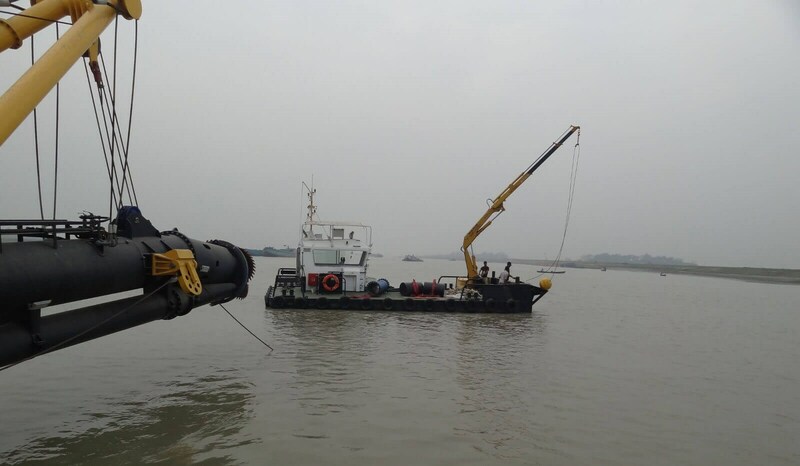 The Multi Cat 1205 at work as dredge helper. 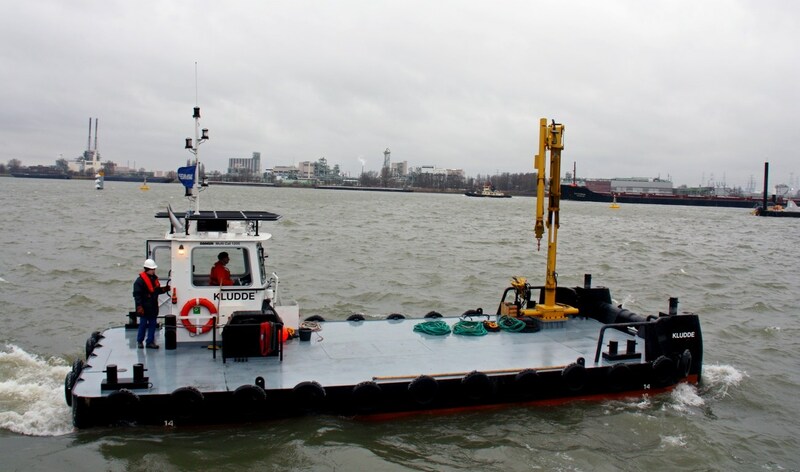 The Multi Cat is used for putting out the anchors of the cutter suction dredger. Can be equipped with up to two working cranes. 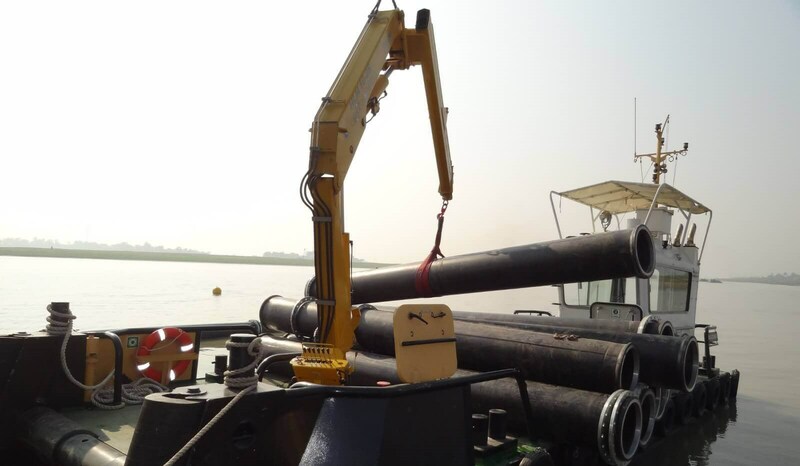 The on board crane facilitates building up the flaoting pipe line behind the stationary dredger. The Multi Cats provide much more deck space for their length due to their shape. The shallow draught Multi Cat has an excellent operational profile. Compact deck house with good all-round visibility. 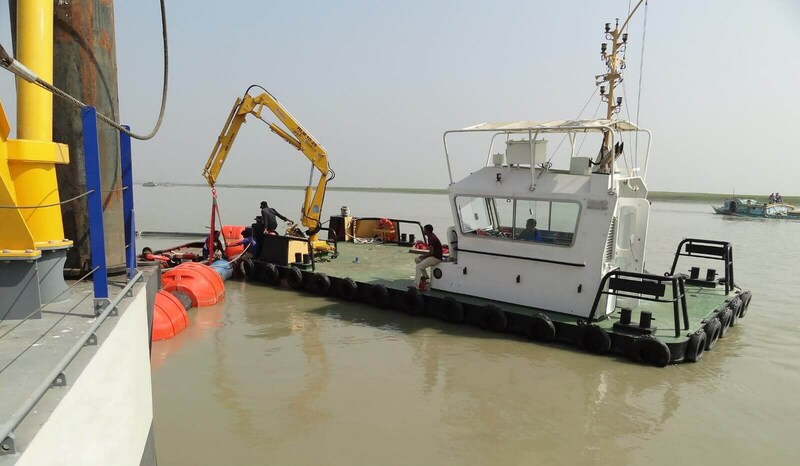 Multi Cat 1205 "Al Zawraa"
This Damen Multi Cat 1205 was delivered to the Ministry of Water Resources in Iraq for general support of dredgers and anchor handling in the rivers of Iraq. 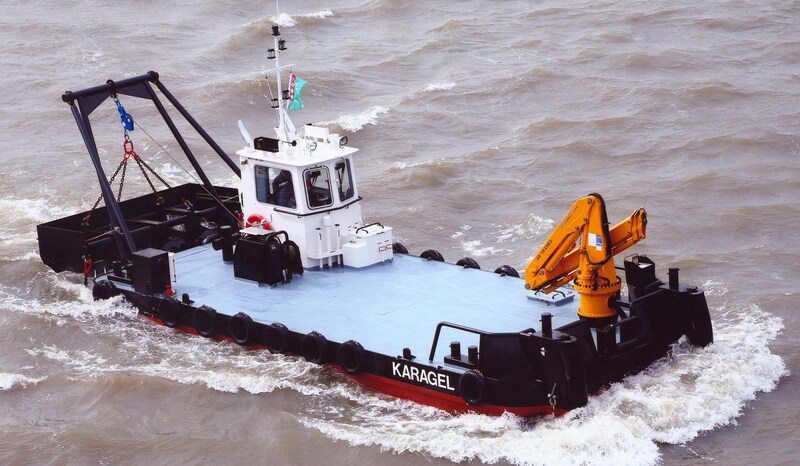 ‘Kludde’, a Multi Cat 1205, was delivered in January 2011 to SeReAnt, a joint venture between Belgian companies Jan De Nul and DEME. 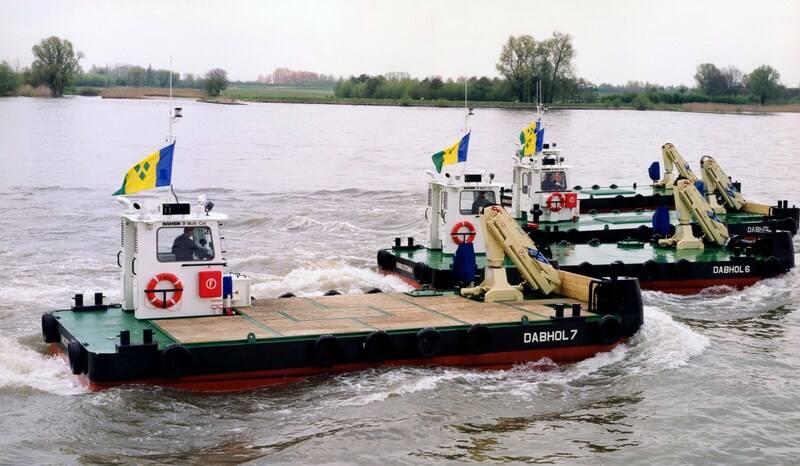 The Damen Multi Cat series offers a complete range of workboats based on thoroughly tested, up-to-date designs and built from high quality standardised components.